All About Indie Filmmaking: Take Me Home Photo Call! Take Me Home Photo Call! In our film Take Me Home, our lead character Thom creates a photobook of his work. He is a struggling, yet talented still photographer. We are partnering with Talenthouse.com to find the 15 images we need for the photobook, which will appear at the top of the film. 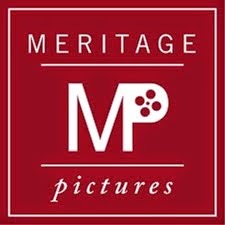 So if you or a friend of yours are a still photographer and you would like the opportunity to have your image(s) in a feature film, go to Talenthouse.com and enter your photo for consideration. Here is the link to our page, Take Me Home, at Talenthouse.com. For more information on the film, please check out our Web site for the film at www.takemehomemovie.com. when you sign up for our Financing Conference by November 25th, 2009! consultation on Indie Feature Film Funding. Indie Filmmakers, and Aspiring Filmmakers! Take part in this incredible event taking place in NYC where you can interact directly with established producers & investors who will share with you the steps you can take to get your project funded! The focus will be on equity investment, and how you can package your project to attract investor interest! Workshops will be available which will you guide you through the process of what steps you will need to take to put together a viable Film Package, and how to go about presenting it to get your project noticed! We will also be holding networking and pitch sessions where you will be able to get your ideas heard in front of an audience of your peers, and our Producers and Investors. One lucky filmmaker will be offered a Packaging Deal by our Film Company, Riwayat Films. Don't forget to Register by Nov 25th, 2009 to redeem your 1 month of free indie film financing consultation! to view the growing list of Speakers, Presenters, and Events that are added to on a weekly basis! Don't miss out on this one of a kind event!! This could be exactly what you need to get your project green lighted!